The Minister for Health Simon Harris has announced two further actions in response to concerns over the Cervical Screening programme. He has sent a senior medical team into Cervical Check to take charge of the situation and ensure that any woman who may not have been told that her case was audited, has been informed or will be informed after the weekend. 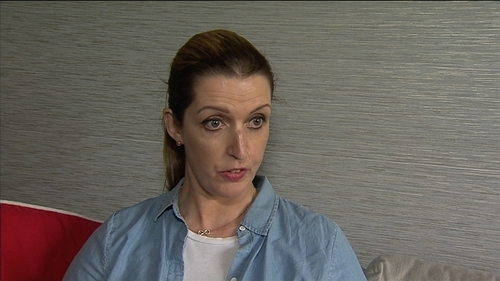 Vicky Phelan, a 43-year-old mother of two, has terminal cervical cancer after a delay in informing her of her diagnosis. Ms Phelan said she is glad that her case has highlighted the failures in the national cervical screening programme, and glad that action in response has been swift. She made her comments as it was revealed that 206 women with cervical cancer who had undergone smear tests should have received earlier intervention. Mr Harris also launched a helpline - 1800 45 45 55 - that will be operational from 9am tomorrow morning. He said the team is meeting tonight and throughout the weekend and will report directly to the Chief Medical Officer, Dr Colm Henry. The Minister said he has been told by Cervical Check that the screening results in Ireland compare favourably well with those of other countries. He said this screening programme has saved lives and people should continue to use the service. However, he said he has ordered a review because this system is ten years old and it would be wrong to be complacent or arrogant in suggesting that it cannot be better. Ms Phelan was diagnosed with cancer three years after her smear test results of 2011 were incorrectly reported as clear. Earlier, this week she settled a High Court action for €2.5m against a US lab over her smear test. Speaking at her home in Annacotty in Limerick this afternoon, she said she had received a call from the Minister for Health Simon Harris today who apologised to her and thanked her for encouraging women to continue to go for smear tests. She said she wholeheartedly agrees with Mr Harris about his lack of confidence in the management of the cervical smear programme, as he expressed what she herself feels, that she has no faith in the management of the programme. Minister Harris promised to keep in touch with her about the progress of the review and she said she intended to make him adhere to that promise, as she wants to make sure changes do take place. Ms Phelan said she does not want women to stop going for their smears, but the standards and the laboratories used need to be changed. She also said she does not want any woman to go through what she has been through, as cervical cancer is curable, if caught early. Ms Phelan said she was incredulous on learning that there are 206 women who have cervical cancer and who should have had earlier intervention, and equally appalled that there was no clarity from Dr Grainne Flannelly today about whether all of these woman have been contacted. Earlier today, Mr Harris said he does not have confidence in the management of Cervical Check in light of further failures at the national screening programme. Mr Harris said, however, that he does have confidence in the screening programme itself. The Health Service Executive has confirmed that 1,482 cases of cervical cancer were notified to Cervical Check since it started the national programme ten years ago. It said that while in the majority of these cases there had been no need for further review, around 30% of cases had warranted a review. In almost half of those cases, earlier intervention was suggested. It indicates that 206 women with cervical cancer who had undergone smear tests should have received earlier intervention. It found that for 173 of those women, a referral to colposcopy might have been recommended earlier and for 33 cases a repeat smear might have been recommended to occur earlier. Asked if he had confidence in the management at Cervical Check, Taoiseach Leo Varadkar said he had absolute confidence in the screening programme, but in terms of personnel, he said he did not want to condemn any individuals before the review was completed. He said he wanted to establish the facts and urged anyone who has been called for screening to attend. Mr Varadkar also said it was currently being verified that the 206 women were informed of the situation and said he thinks they have been and wants to make sure that is the case. Earlier today, the Clinical Director of Cervical Check said she cannot say for sure that all 206 patients have been contacted. Professor Grainne Flannelly said they were making sure they were "going to close that audit loop and find out". Speaking on RTÉ's Morning Ireland, Prof Flannelly said that in all of the 206 cases the information was sent to the colposcopy clinic or the treating clinician. She said her sense was that the patients had been told, but added she could not say for sure. Prof Flannelly said screening has limitations and that there will be false negatives and false positives, but the programme had been set up along the lines of best practice to try to make it as good as it can be. The Academy of Clinical Science and Laboratory Medicine said it is very concerned that an error identified by an audit in 2014 should take two years to report to Ms Phelan's physician and a further year to be communicated to her. It said that for any screening programme to be successful, it must have the trust and confidence of the public. It has called for the results of the audit of 2014 to be published. The Academy said the report must include the number of both false negative and false positive smears. It said where there is evidence of either false negative, or false positive results, they must be communicated to the woman as quickly as possible. Dublin's Well Woman Centre has seen an increase in contact from women who are "anxious" about the results of their smear tests. The clinic's medical director, Dr Shirley McQuade, said women are asking "where the test is being done, what laboratory it's being done in and how sure we are that the test is accurate, and that's a difficult one to answer", she said. Dr McQuade also said "it's not clear" who tells a patients when their smear test is not correct. "I've never told a patient that their previous test was not correct, Cervical Check has never contacted me at any stage and since we've done about 60,000 smear tests in the programme I don't think they are contacting the primary provider. "I would have thought it went through the colposcopy clinics or the oncology clinics." Dr McQuade said Cervical Check is a very good programme but all programmes should have an audit procedure. "I think it's more to do with the communication of the results rather than what the findings are." She urged anyone who has had a normal smear test result but has symptoms they are worried about to get checked by their doctor, because there is a small possibility that there might be a problem.